Tired of all the sweeping and upkeep associated with hardwood or tile floors? Get a cheaper and more comfortable flooring option beneath your feet, and find out about carpet installation in your area. These floor-covering options often require less maintenance and come in a variety of colors and styles. On top of this, they are also quieter, so you won't be disturbed as people or pets move around the house at odd hours. Have you ever broken something valuable on tile or hardwood floors? Vases, dishes, and art pieces made of glass are completely safe on carpeted floors. Don't lose another valuable item to your floors again. If a lot of traffic moves through your home or if you have small children, you may think it a better idea to wait for new covered floors. However, modern carpeting options stand up to heavy foot traffic like they never have before. On top of this, they are more spill resistant than ever, so you don't have to worry about the longevity of your covered flooring. Advances in fiber technology and weave methods have also made these flooring options more comfortable and more durable than previous generations. When proceeding with carpet installation in your, home there are some important things to keep in mind. The first thing you will want to ensure when dealing with contractors is that they have liability insurance. In the case they damage your home or your new flooring, you will want them to cover repair costs. You will also want to make sure that your contractor has a warranty on their work. The standard warranty for this type of work is one year, but don't just take their word for it. Make sure that you get the warranty in writing. This should cover all seaming problems and re-stretching services that you may need for your covered floors. It is also important that any work that you contract for your residence comes with references. Anyone can claim a reference; it is up to you as the homeowner to verify them. Before you have covered flooring put into your home, speak with your contractor to determine who is responsible for moving furniture and ensuring the doors can move comfortably. You will want to put every detail of your arrangement into writing so that there will be no confusion when it comes time for execution of services. Another aspect of carpet installation that you may have overlooked is taking pictures of all the walls in rooms that will be worked in. Have your contractor take a look at the photos and initial them. This process is to ensure that the contractor will pay for any new nicks, scuffs, or other damages to the walls. Standard prices for carpet installation in residential settings fluctuate between three and six dollars per square yard. You and your contractor will have to come to an agreement as to what the costs will be. You may be charged an extra fee if your furniture has to be moved. 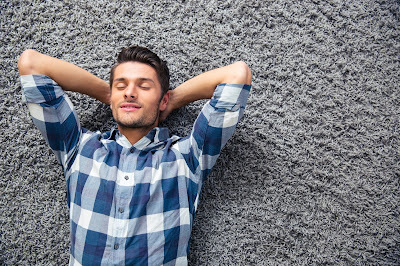 NJ residents trust Rich's Carpet One for affordable and professional carpet installation. Learn more at http://www.richscarpetone.com/. Why Hardwoods Are Great For Young Families?